About this Unity Vase:Our Unity Vase signifies unity and partnership in a business relationship. Each piece is an individual work of art; size and color will vary. Materials: 24% Lead Crystal on Separate Black Base NOTE: Product comes with Prop 65 warning label when shipped to California. Label reads: "WARNING: This product may contain carcinogen, which is known to the State of California to cause Cancer and Reproductive Harm. For more information, go to www.P65Warnings.ca.gov.Special Instructions:Rush Service:The standard imprint method, 1-color/ 1-location is available. About this Cairo Blue Vase - Large:This beautiful large vase made of blue glass is sure to be an attention getter on any desk. Use in the hotel or restaurant industries. Depth of color may vary with each item. Materials: GlassSpecial Instructions:Rush Service:The standard imprint method, 1-color/ 1-location is available. About this Large Sculpted Oval Bowl:Created by our exclusive artist, Marion Cioni, this 24% lead crystal creation is marked for authenticity. Materials: 24% Lead Crystal NOTE: Product comes with Prop 65 warning label when shipped to California. Label reads: "WARNING: This product may contain carcinogen, which is known to the State of California to cause Cancer and Reproductive Harm. For more information, go to www.P65Warnings.ca.gov.Special Instructions:Rush Service:The standard imprint method, 1-color/ 1-location is available. About this Covington Bowl:With signature British Isle cuts, this Covington bowl is a handsome reward for the achiever. British Isle cut. Materials: 24% Lead Crystal NOTE: Product comes with Prop 65 warning label when shipped to California. Label reads: "WARNING: This product may contain carcinogen, which is known to the State of California to cause Cancer and Reproductive Harm. For more information, go to www.P65Warnings.ca.gov. About this Whisper - Cut Oval Bowl:Wisps of clear cuts are placed in 24% lead crystal. Materials: 24% Lead Crystal NOTE: Product comes with Prop 65 warning label when shipped to California. Label reads: "WARNING: This product may contain carcinogen, which is known to the State of California to cause Cancer and Reproductive Harm. For more information, go to www.P65Warnings.ca.gov. About this Oceanic Vase:Each piece is an individual work of art; size and color will vary.Materials: 24% Lead Crystal on Separate Black Base. NOTE: Product comes with Prop 65 warning label when shipped to California. Label reads: "WARNING: This product may contain carcinogen, which is known to the State of California to cause Cancer and Reproductive Harm. For more information, go to www.P65Warnings.ca.gov. About this Scalloped Edge Vase:Modern and tasteful designs cascade down the edges of this beautiful vase. Scalloped notches envelop each side edge, perfectly framing your logo on the front...Modern Crystal Vase.Unique Chiseled Edges.Great for Gift Giving.Material: K9 crystal. About this 7.5 Bud Vase - Clear:7.5" bud vase.Hand wash recommended.Microwave safe with non-metallic imprint.Special Instructions:Rush Services Detals: Orders requesting Rush Service are available for 1 color/1 location imprint only.Rush services are not available for paper insert tumblers and 4 color process orders. About this Curved Vase:Collapsible PVC flower vase with curved shape. Folds flat, but forms vase shape when filled with water. Comes in clear with translucent colored bottoms. Makes a great gift! NOTE: Product comes with Prop 65 warning label when shipped to California. Label reads: "WARNING: This product may contain carcinogen, which is known to the State of California to cause cancer. For more information, go to www.P65Warnings.ca.gov. About this Wave Vase:This collapsible, portable flower vase is made out of a PVC material. Folds flat, but forms a wave shape when filled with water. Available in clear with translucent red bottom. Imprint your company name and logo to promote flower shops, spring fairs, hospitality groups and more! NOTE: Product comes with Prop 65 warning label when shipped to California. Label reads: "WARNING: This product may contain carcinogen, which is known to the State of California to cause cancer. For more information, go to www.P65Warnings.ca.gov. Thank you Ellie and Travis! We’re glad to read your good reviews. Our Color Base Vase is great for affordable vases. Ours can stand up tall and hold the flowers you need to blossom the room. Our Color Base Vase is great for any event! As a top seller, customers have proven to love this item! Thank you Catherine and Julian! If you want a traditional vase that customers will love, this is definitely it! 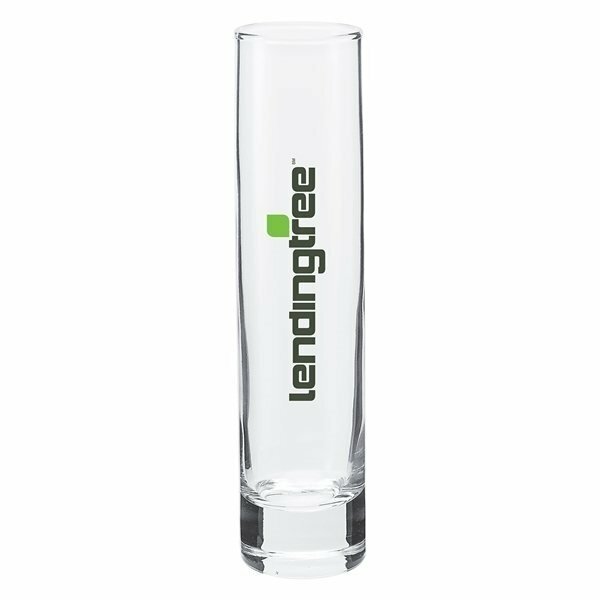 Place your logo on this vase to give out at your next event! Our promotional vase is perfect for any event! You can give them out at formal events or as an incentive to your employees! Thank you Jillian and Leonardo! Our parsons bowl attracts many customers because of its high end quality. Here at AnyPromo, we always aim to have all our promotional items be of perfect quality. A simple yet elegant award bowl displays prominently in every setting. Order your Parsons Bowl here. Our selection of vases & bowls are unique items to give at your next event! Customers will love to take these home or office. From an expandable flower vases to your common glass flower vases, you won’t want to miss out on our selection! Our glass bowls are unique for any event. You can give them to your employees as an incentive, or you can place them around your building for employees and guests to see. Bowls give a home feel to the surrounding, so purchase yours for your next event! Our vases & bowls will go great in at weddings, anniversaries, or any party or event! Look through our selection today. Shop here. Our custom vases and bowls are specially priced and professionally imprinted to vividly promote your brand. Search our site for a wide selection of promo bowls and vases and find swirl bowls, flower power vases and more! See for yourself just how high AnyPromo’s standards are when it comes to brand impact. Click through our inventory of promo bowls and vases on sale now. Here is a snapshot of our selection of promotional vases and bowls currently available. We’re ready to help expedite your order, so give us a call! Vases & bowls are well accepted by customers. Make it personal by adding your logo to the vase or bowl of your choice! Our promotional vases & bowls have been a hit at weddings, anniversaries, birthday parties, and other events! Guests would love to see personalized vases & bowls as decorations. Our featured list contains vases & bowls have been a huge hit at events. Our customers have given us feedback, and we share the most featured vases & bowls that customers are extremely happy with.